In the movie The Wizard of Oz, the main character Dorothy is on a journey of the soul. The entry into matter of the soul involves the metaphorical death of the soul, a forgetfulness, with the object being an eventual reawakening if the journey is successful. A great example of this is in the fairy tale Sleeping Beauty, Beauty being the soul. The wicked witch of the west harangues Dorothy into embarking on this journey, much like the witch in Hansel and Gretel which I have written about previously in this blog post. 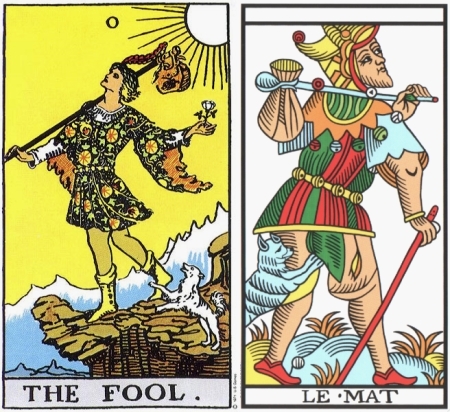 Similarly it is the journey the Fool is about to undertake in the Tarot. Notice in the cards the dog that is with him. 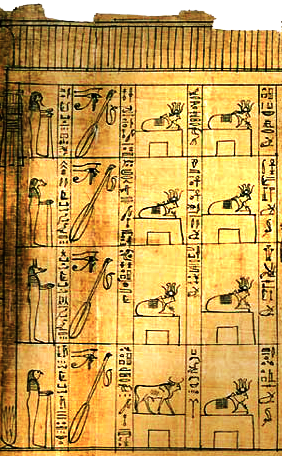 The dog in the Fool's card and as well as in The Wizard of Oz, Toto, is the guide of the soul, the archetypal psychopomp whom the ancient Egyptians called the opener of the ways. 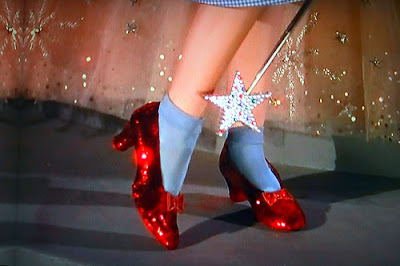 Dorothy follows the yellow brick road and meets the characters, aspects of her inner self, that represent her need to develop her brain (wisdom) from the scarecrow, her heart from the tin man, and the need for courage represented by the cowardly lion. Fear of the unknown has derailed many a seeker in their quest for truth and knowledge. Personally after my initial forays into the visionary realm I felt like the cowardly lion and didn't want to do that again. It wasn't until summoning the requisite courage that I was able to resume the journey. Wisdom is the result of seeking knowledge on this road to discovery and it is through this process that you learn the path with heart is the only true path to follow. "For me there is only the traveling on the paths that have heart, on any path that may have heart. There I travel, and the only worthwhile challenge for me is to traverse its full length. And there I travel—looking, looking, breathlessly"
The munchkins are something that seem to be related to the visionary realm and this journey of the soul. In the the myth of Snow White this concept is represented by the seven dwarfs. 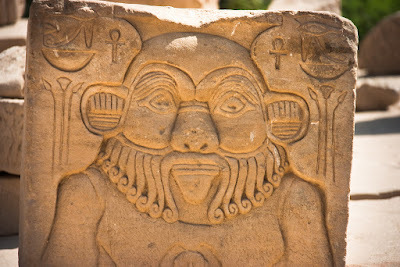 The ancient Egyptians have descriptions of these little people, the apotropaic Bes being the most striking of these strange dancing elf people. And there are also the stories that modern users of the highly psychoactive drug dimethyltryptamine (DMT) bring back of these elf people. The trip through the forest by Dorothy and her friends is the perilous part of the journey, the wilderness is the visionary realm, and the eventual death of the wicked witch frees you from fearing death. The good witch Glenda helps you in the struggle to continue on in this journey. The characters in this adventure later on the way to the Emerald City amusingly lay down in a poppy field and fall asleep. This seems to be relating to drug use and the hypnotic state used to discover an alternative reality that shows you another way out of your predicament. I think the Emerald City is referring to the alchemical wisdom of Hermes Trismegistus and the Emerald Tablets and also implying another connection to the Tarot. The journey culminates in an entrance into this city with the surprising result that the necessary wisdom needed to complete the journey lies within. In the Emerald City they do find the wizard who supposedly will magically solve all their problems; Dorothy of course desperately wants to return home. The wizard is a fraud, pay no attention to that man behind the curtain, and he is representing religions of man. 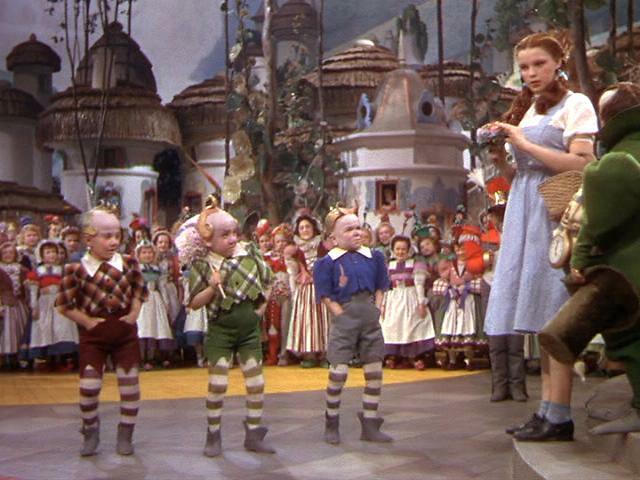 Toto is tellingly the one who pulls back the curtain and reveals the truth. 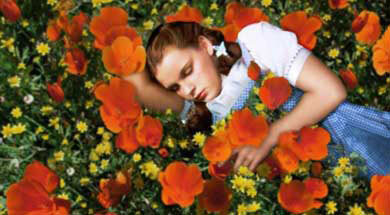 Dorothy eventually finds out she has it within her to return to the place her soul longs for. The theme of this journey of the soul that we can lift out of this fantastic movie I start out this blog post with is intended as a starting point in order to segue into a discussion on the meaning of life. 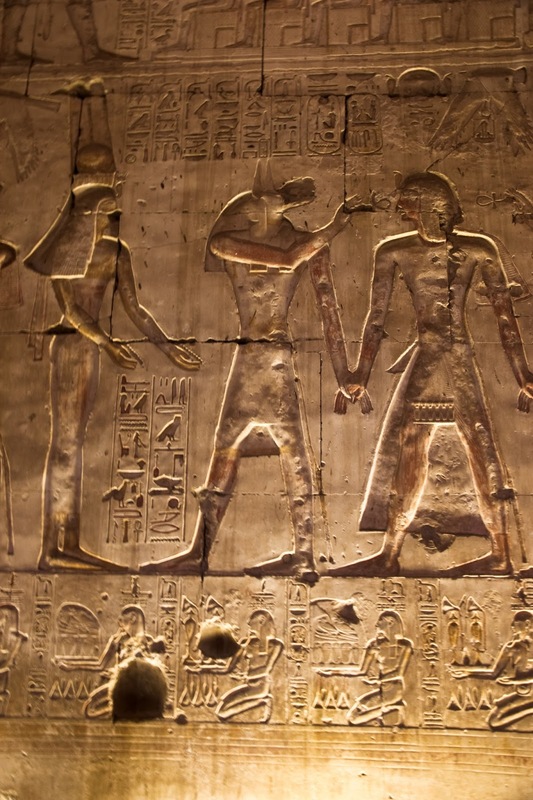 Why does the soul enter into the limiting material world and subject itself to suffering and a fundamental lack of knowledge concerning its origins and destiny? In fact for the most part we have no idea why we are here and what is the purpose of this existence we have been presented with, unsure if we even had a choice in the matter. Without accessing any of the modalities available to alter consciousness, then to ponder this question becomes a dead end. Speculation centres on whether we live on past bodily death and that remains the insurmountable barrier in that our thoughts are consumed by the bugaboo of what is beyond the grave, if anything. But if you can bypass this barrier then the question has the possibility of being answered. Our western conditioning leads us down the path that our consciousness is generated by our brain and in conjunction with that it stands to reason that without the body we cannot exist. Upon that ceasing we are then left with a dissolution of self and that is a finality. Our concept of life begins, is tied to, and ends with bodily death. Another way to view consciousness is the metaphor of the television set that is a receiver of a signal. Our brains are tuned to the particular consciousness signal that makes us who we are and defines our reality. I would posit then that it is the ego that generates the self and this fear of finality. The death of our physical self and the persona we have crafted throughout our appearance in the material plane at this moment in time is for the ego the absolute end of the drama. Think of it as a musical composition or a play that eventually comes to an end. It can be recalled and remembered but when the band ceases playing then the music is but a memory. From this we get our first answer to the question of the meaning of life and that is in essence we are here in this temporality to play. We perform a metaphorical symphony of life while here on earth. Just as a piece of music can move us, inspire us, bring out emotion, cause us to reflect and act upon our thoughts or say a movie can bring us to tears, uplift us, excite us, and depress us it is our lives that though taken as a snapshot in time may seem to be inconsequential, it does in fact affect cumulatively those around us and on a collectively larger scale the whole of humanity and the planet. As the drama of our lives unfolds we touch others in more ways then we realize. The sum of the movie of our lives as it reaches its crescendo and final dissolution is a marvellous construction. But we should take a step back here and examine life. It is not the ego and thus it is not perishable. The ego is just an expression; one of many expressions. Life changes and manifests in different forms when subject to the great multiplier, which is time. Our consciousness is a wave vibrating throughout the sum of existence and it just so happens it has settled for the moment in the physical plane that is governed by time. So life does not carry death within it; instead it contains within it the catalyst for change. We are blessed with free will to affect the path we follow at all times. The meaning of life is to play, and through this marvellous experience that is sprinkled with free will, we are on a trajectory of becoming. The act of becoming leads to transformation as our soul vibrates into a higher plane and becomes pure luminous light in a state of non organic awareness. Staying inert and not participating in the play or getting lost in this grand musical composition just means you do not increase the frequency of your vibration and become greater, greater being a state of transfiguration that allows you to throw off the material bonds that tie you down. Instead you remain in this plane repeating the class until you dance to the beat of the cosmic dance and transcend this existence at the cessation of physical life. So you see, the meaning of life involves participation and through this playing we are to transcend the mundane and the profane as our actions touch those around us and the greater whole. The love we share lightens the soul and allows for growth. 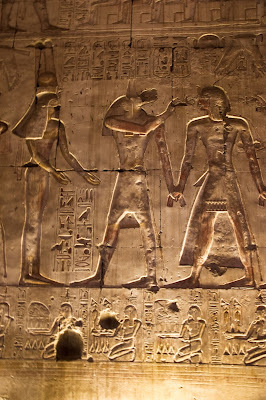 The heavy heart, still filled with desire and unfulfilled longings, remains in the cycle of life and death. The heart space is where you find the divine within you and all around you. The secret is shifting your consciousness into a heart based path, Love, that's all. Once you show the universe that's your intention then you can do it. The labyrinth we call life is complicated but it is a maze of our own making. The minotaur we empower... and then one day courageously we just side step this monster and never look back. The meaning of life is an active journey towards self realization which in spiritual terms is to head for the light. The ultimate purpose for our lives is to lead others to the light. Even if you are still searching for this light yourself just the act of encouraging others to search for it as well is the noblest thing you can do. 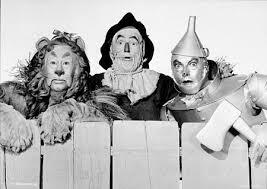 The tin man, scarecrow, and cowardly lion are our magi. Traveling on a path guided by the heart and wisdom that is imbued with courage, the sum total of the yellow brick road friends of Dorothy, will ♫Guide us to thy perfect light♫.